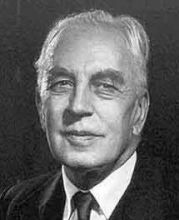 Reading A. Toynbee, especially Volumes IV-VI of his Study of History, lead one to question both the “civilizational” fundament and, later, his “higher religion.” The problems are not that, at such a level of analysis, he is inaccurate. Such an epic level of perspective cannot be held to the sharp standards of accuracy that a study of, say, the state of New Hampshire might be subject. The very nature of such a sweeping history means that, in the main, he might be seen as “more or less” on the right track. That is as far as one can go. However, that begs the question, since the very concept of such an epic orientation is open to doubt. Equally sweeping is the general criticism of P. Sorokin and others, namely, that such a view of history is problematic because it isolates a few variables from the rest, making them extremely important. This means that others are minimized. This criticism gains force to the extent that one sees the knowledge required for any epic vista of history to work at all. One cannot know that much about global history to come to such conclusions. Those specializing in an element of a civilization (such as Hellenistic aesthetics) will easily annihilate sweeping generalizations. Hegel’s desire to label entire epochs of history with one word means that such an approach cannot be true; unless one is willing to reduce epochs of civilization to slogans about them. In the case of this present author, the concern has been to refuse such grand historical panoramas and focus instead on a single nation, or elements within a nation that lend themselves to detailed study. There, the actual living conditions of real people can be analyzed. The sweep of Toynbee, Hegel or Marx is interesting, but if the result is to then force all societies to follow that general model, then they should be left unread. Few deny the ability of Eric Voegelin, but again, outside of specialized studies on Plato or Marx, Voegelin’s sweep is such as to make it interesting, but a fatal temptation to the study of actual historical life. This preface is needed because the Eurasians fall into the same problem. They too, deal in civilizational norms, though their interest is very specific: defining the Atlantian civilization as against the Russian one. At the level of elite society, this is useful. Western elites, generally speaking, are of one mind in their commitment to science, secularism, individualism (in theory), capitalism, positivism and empire. There is nothing strange about this. Toynbee, in areas in which he is well schooled (such as Greek antiquity), becomes extremely important. When he generalizes this experience to medieval Hindustan, however, he becomes less tenable. Identity and foreign policy go hand in hand. Domestic and foreign policies are closely linked. In Russia’s case, her sense of corporate selfhood has changed radically since the fall of the Marxist empire in the early 1990s. Russia’s foreign policy has changed as her global status has changed, and the debate among the different factions of Russian life has dominated her foreign policy. The purpose in this paper is to define, in specific terms, the nature of a Russian, Eurasianist foreign policy. Eurasianism is a popular foreign policy idea in elite Russian circles and therefore, must be taken very seriously by scholars (Shlapentokh, 2007). Russia is a state and nation. It is also a broader based civilization taking in many ethnic groups to herself. This means that its values and virtues are far more than the result of specific historical conditions, but are, in some sense, eternal virtues that give life meaning. There are “civilizational” values that take what is crucial in those nations the civilization encompasses. These are not ethnic groups (which are much smaller) but refer to “imperial” ideologies that can rule many different groups and are formulated precisely to justify the rule of a large and diverse policy. Examples of such civilizations might be Chinese, Indian or African. These go beyond historical experience and are supposed to contain greater truths. 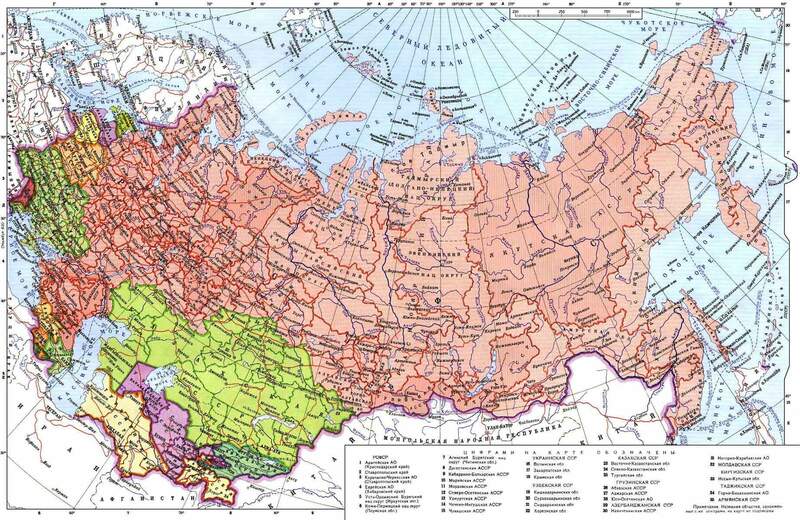 The concept of a “Russian civilization” undergirds the vision of the Russian Eurasianists. This is both a political theory and a source of foreign policy decisions. The “imperial mission” of a society is not about local values, but cosmic ideas. In politics, these “imperial ideologies” serve as the foundation of global rule. Eurasianism as foreign policy refers to Russian geopolitical space. Russia is a “cosmos,” it takes smaller “solar systems” under its wing to create a loose federation of allied nations and states. In some instances, it rejects the very notion of “nation-statism” in that a true civilization can be only a federation, not a state. Prior to the well known Alexander Dugin, Eurasianism has a rich ideological heritage unknown to those who cannot read Russian. PM Bitsilli (1953) took a broad look at global history. “Rhythm” is specific to a people. It is dialectical both in that it is becoming (rather than being) and takes the familiar trinity as undifferentiated unity – fragmentation – reflective unity. This also was essential to the metaphysics of Karsavin. Rhythms differ radically, but they still partake of the same formula. Finally, inertia is the third element. Dialectic, rhythm and inertia govern the historical process. Tribal life is unreflective, yet, historical forces and local conditions force a chaotic mixing of tribes that are more or less compatible. Finally, in the construction of the ethnos, a reflective unity is created as conditions now exist for reason, thought and the development of the historical person. In his “Tragedy of Russian Culture,” Bitsilli takes the common Eurasian position that “progress” and “history” are both loaded and ideological terms which contrast all existence with that of the west. That is to say, the lineal development of mechanized and commercial capitalism is the standard of global development. For Bitsilli, culture is the “self-disclosure” of the personality en masse. It is an overcoming of history in the sense that this self persists through time. PN Savitsky (1968) focused his research on the primordial argument for national, that is, ethnic development. Tribes mix together to form ethnicities. This mixing is not arbitrary, but can only take place among groups who share significant elements in common. This mixing, further, is also not arbitrary due to its context. As is common in this doctrine, climate, topography and local resources are extremely significant in the development of a decentralized tribal life into early forms of ethnic groups. Organizations of peoples, as they come out of their tribal background, take from local conditions. 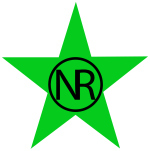 Thus, territory is significant and becomes a part of the development of the national unit. The soil literally is incorporated into the flesh of the people. Local resources, soil conditions and the general environment become a part of the physical makeup of ethnicities. Soil conditions are aspects of topography in that they are dependent on it. The ethnic group then becomes like its surroundings: an organic whole. Ethnicities developing near the shoreline, all other things equal, develop into mercantile states. They think globally in terms of markets and resources. Russia, on the other hand, is a land and forest based community and does not, as a result, develop the trading ethic to the extent that the Greeks or Phoenician have. This is not to argue that these conditions determine outcomes. They only provide dispositions. 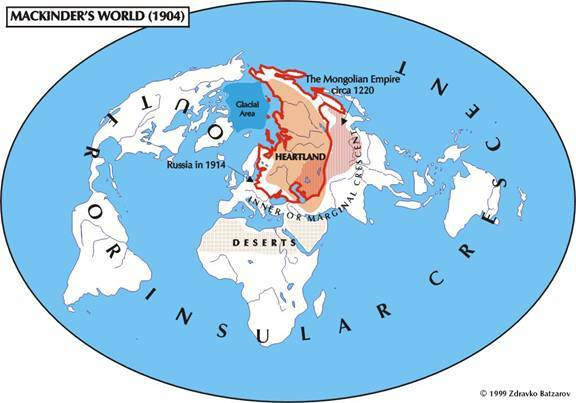 Savitsky stresses that the Mongol occupation was not destructive for Russia, but quite the opposite. The Horde was a culturally advanced people who protected Russia from the inroads of western religious ideology. All occupied lands, so Savitsky and Most Eurasians would argue, did well under Mongol administration. In terms of politics, Savitsky argues that linear progress is a myth. Social organisms run in cycles, repeating some basic institutions but adding and subtracting others. The state, in the sense of its Cultural Constitution, requires a unity of religion and basic moral foundations in order to carry out even minimal tasks. The cultural and religious unity obviates the need for a strong state, administratively speaking. Most importantly, Savitsky argued as early as 1928 that the future belongs to Asia. After World War I and storm clouds brewing over Europe, this was not a ludicrous idea. It is even more significant now. The simple idea that can be drawn from the prophetic words of Savitsky is that Europe destroyed itself in two world wars, went broke during the “Cold War” and, as of 2014, has little to offer the east. To reject “Europe” is to make a realistic judgment about the state of their finances, elites and economic foundations. 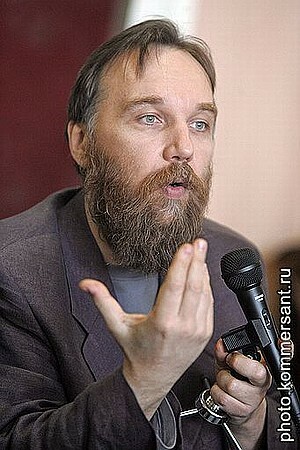 Of course, the most significant Eurasianist, and the most verbose, is Alexander Dugin. His work is generally more esoteric than the rest, arguing that the ancient symbolism of east and west points to two sorts of civilization: the sea based and the land based. What makes Dugin attractive to those who can read the language is his use of Plato to ground a new vision of the nation and its context, the civilization. What the west lacks is the concept of higher meanings. Nominalism and positivism, the two official ideologies of western thought (in general) see objects per se. Nominalism argues that there are no necessary connections among things in society or nature, there are merely individual acts, people or institutions. Dugin, using Plato, argues that the “object” is merely phenomenal, not real. “Realism” is the view, assumed by positivism and nominalism, that there are two entities only: the observer and the observed. This is naive because there can be no way to prove the existence of actual objects solely based on perception. The nominal has no purpose. They are random individual things that might form a system for “mutual advantage.” Its social applications are obvious. However, to oversimplify, objects and particulars exist only in a context, and that context soon becomes the All, or the single set of relations that make up the cosmos. Each is dependent on all. Dugin’s critique of the west, given this simplistic model, is that western man has been trained to see objects as “facts,” brute givens that are only provided with meaning by man, and that usually refers to a political or scientific elite. All is reduced to the “practical,” and as a result, all meaning is lost. The west replaced natural law with markets. Markets took science and make it an appendage of commercial dominance. The concept of pure mechanism, the product of the Renaissance, was to create a world, one imposed upon the real one, that reduced matter to a machine that can be taken apart and put back together in the form of man-made technology. This is the essence of capitalism (and has no relation to the market model). Capitalism is based on egocentricity, the denial of private property except for the few, and, perhaps most important, that morals and culture have no place in “rational” economics. Socialism is quite similar. It is obsessed with technology, science and production as ends in themselves. Power may be reached by different means, but it all comes down to economics. Capitalism and socialism depend, not on intelligence, but on deviousness. The Marxist critique of capital is correct as far as it goes. Economics is inherently historical, egocentrism can never create stability and capital functions by using labor as a tool. These are not the only options. Eurasianism, as economics, is based on the concept that economics is not a field in itself. It may not make its own rules, but is subordinated to the common good of the community. Competition always has a place, but so does cooperation. Production is culturally specific in nearly every way, only that globalization has gone very far in standardizing its methods. Nations exist. They create states. However, with the possible exception of great states such as Russia and China, autarky is not rational. Regionalism is the response. 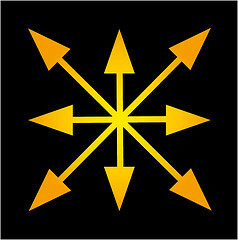 For Dugin, several civilizational spaces exist: Eurasia, Africa, the Far East and Europe. These are now the actors in history. 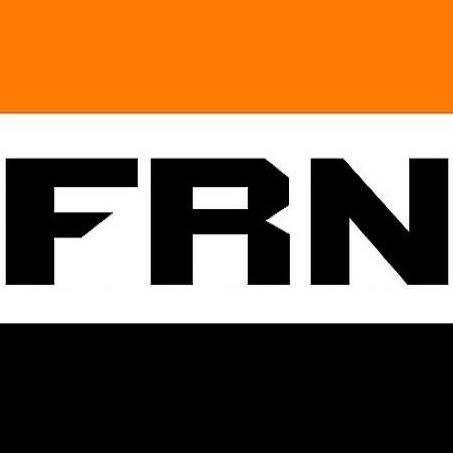 Nations retain their autonomy within their civilizational space, but the regionalism of Dugin seeks to retain the gains made by globalization while retaining local and regional sovereignty. The result is a multipolar world. Globalization is western ideology and scientific culture masquerading as “reason” itself; as science per se. It is the rebirth of Atlantis, the necropolis, the world of Twilight, or unreality. Both Dostoevsky and Gogol used these metaphors to describe St. Petersburg. Atlantis lives on, deriving from the Phoenicians, and leading to the ruse of Venice in the High Middle Ages, then concluding with the English and institutionalized as a “global ideology” under the US. Communitarianism against nominalism. Identities are necessarily collective. Eurasianism holds that while nations exist, they are not self-contained. The political unit is the civilization, which is a federation of complimentary nations. Culture is the essential tie among people in a nation or civilization. The quantifiable aspects of rule are highly limited and secondary. The state (in its true sense as the cultural collective) should put its stamp on the economy. In general, public-private ownership mixes are essential for larger and strategic industry, while private ownership remains for small business. Egocentrism manifest as abstract rights rather than function, station or vocation. Rights are more rhetorical and strategic than real. Democracy as necessarily proceeding from nominalism. This is not merely a “procedure” but a state of affairs. Democracy exists when liberalism does. Materialism and secularism in public and economic life. In general, since rights have no discernible origin, utilitarianism becomes the official ideology by default. Liberal Messianism is crucial: liberalism needs to be imposed by force. The west defines “state” as that which is bureaucratic and administrative. Liberal rhetoric sounds merely procedural. This is to mask the ideological core of liberalism which is essentially totalitarianism. Politicians serve as window dressing for economic elites. When the economy fails, the politicians, who control nothing, are said to be at fault. “Rationality” is defined in purely economic terms. Liberalism rejects the “nation” as fiction, yet, holds formal quantity, the “international community,” and the isolated ego as palpable realities. These two views of the world are antithetical. The west views itself as the apex of human liberty while seeing the east as in need of western assistance. Evolution is leading the world to the western idea, which was the purpose of the Darwinian system from the beginning. It is no accident that this view of the world arose from the height of English colonial rule and industrial development. Capitalism sees the world merely as a series of markets or resource bases to control. Peoples are treated in purely quantitative terms. Representative government, which is radically distinct from “democracy,”is an important factor in Eurasianist thought. The Eurasianist movement evaluates the “democracy” ethic as being a mask for economic power. Elections are competitive races among economic factions speaking for “the people,” a collective abstraction that does not exist. A strong Russian executive can help filter the demands of the moneyed class and seek the common good. Putin’s approach has mirrored this demand (Shlapentokh, 2007). “Russian pluralism” is a vision that motivates Russian domestic policy (Tolz, 1998). Eurasianism as a political theory revolves around the concept of civilization over ethnos. A pluralist society would imitate the look of a federation, using the most significant elements of nationalism without its tribal negatives. A Russian Eurasianism stresses the fundamental autonomy of these ethnic groups within a broader state, and these different groups would maintain a large degree of independence. Russia under Vladimir Putin has been a strong supporter of the non-aligned movement. This movement seeks to improve the condition of the third world and build a global society based on the independence of nation states. This idea is a direct attack on Westernism. At the same time, larger states that are in various stages of development have taken the lead from one time to another, including Indonesia, Russia and India. This just means that these countries on the periphery of development have the size and potency to wring concessions from the central states such as England or Japan (Shulman, 2005). in Russian Eurasianism, the main foreign element is the “multipolar” world shared by the non-aligned movement and its dedication to alter global capitalism and westernism. This “non-aligned” idea is central to Eurasianism in that the west, given their “New World Order” and “End of history” rhetoric, is implying that it and it alone has the right to shape the rules of the political game. It is not so much that these rules have been deduced from democratic elections and hence enforced, they are the rules that govern elections. Eurasianists make quite a bit of fuss about this distinction. Democracy is just as much a set of results as a set of processes (Nikitin, 2005). Russian Eurasianism and the non-aligned movement are closely related. Russia cannot be considered as a “developed” or “developing” country since those terms imply an absolute standard. The Soviet use of domestic force to rapidly develop heavy industry (that may or may not have been appropriate for the time) makes her a developed country, though one that did not develop according to the typical pattern of European states. 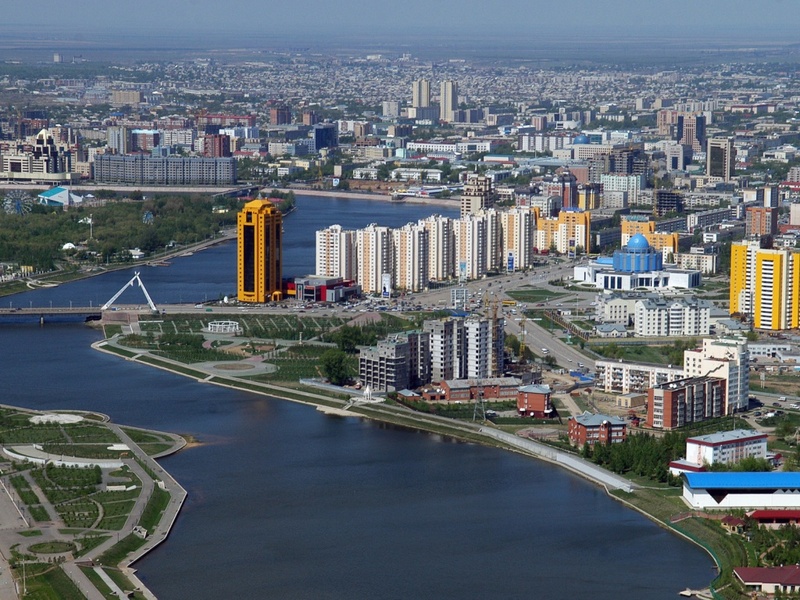 In fact, Russia’s industrialization drive in the 1960’s and 1970’s might (with some adjustments) be a model for the third would that wants to see a great state presence in the economy rather than just profit-seeking businessmen. Since Russia can be seen as the “periphery” of the European Union, she shares some elements in common with the third world. A strong, independent state is required for both development and sovereignty over resources. “Self-regulated” development is part of the concept of independence, since anything else would give development priorities to others. The public good should always take precedence over private profit. Within any Eurasian Union, a specific Central Asian bloc needs to be formed to focus on issues concerning this region. This is a part of Nazarbayev’s emphasis on Eurasianism being practical and loose rather than federative (see below). Free trade should focus on regions and culturally similar peoples. Central Asia is a good example. Free trade should be pursued with common policies on substantial economic issues. Its purpose is to keep foreign forces out of the area. In areas where Central Asia is impacted the most, even other members of the union, such as Russia, should stand aside. Any decision made by the Central Asian Union, as well as, presumably, any Eurasian Union including Russia, will require a 4/5 vote. Slowly, regional groupings will consolidate basic laws on development policy. Nazarbayev’s main concern is a practical one: the modernization of the Central Asian states with no reciprocal duties in any specific direction. His view is guarded and cautious due to his concern for Kazakh independence as well as its stress on modernization. In fact, convergence is not an issue here except as a matter of fiscal law, and he goes out of his way to stress that there is no single ideology nor any sense of unitarism. While this is consistent with Eurasianism, Nazarbayev’s emphasis on practical economic programs aimed at modernization is not. Even more, he stresses that, in terms of basic policy, each state within the union should retain the option to remove itself from any law it deems problematic. 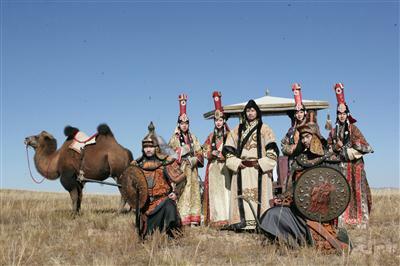 At best, The Kazakh program is based on a loose structure. Since there is no “doctrine” of Eurasianism on these matters, it remains an open question. In general, Eurasianists remain national in their focus. 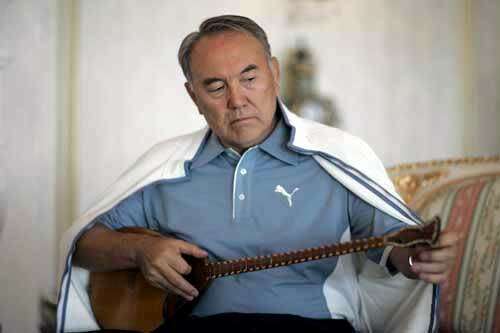 The problem which Nazarbayev points out is that the states to be a part of this Union are far from homogenous, and remain at different levels of development. Hindrances to any union he sees as primarily based on a lack of strategy. There is no method of dispute resolution, nor does there seem to be any connection among ministers dealing with these issues and their own governments. Relative to currency, the President argues that it needs to be based explicitly on production and the development needs of the societies involved. While it should be kept out of the hands of private bankers, no specific state should control it either. He advocates that all branches of government be involved in currency decisions, since these are so essential to economics and development. Keeping the currency out of the hands of speculators seems to imply that he wants the regional currency non-convertible. The USSR was a noble enterprise that went awry. This was because the Bolsheviks thought they could run the country from a central source. This was incorrect and led to tremendous distortions in the economy. The USSR needs to be reborn, but on a far more decentralized and humanitarian basis. Russian civilization can develop along the lines of a limited federation of Russia, Ukraine and Belarus. The third concept is traditional ethno-nationalism, where the state develops to incorporate all Russian speakers contiguous to her borders. Dugin, in his essay on Nikolai Trubetskoy, argues that both the tsarist and liberal approaches to the USSR are incorrect. He argues that Bolshevism derives directly from the revolutionary state pioneered by Peter I, and the Petrograd bureaucracy that failed to connect with the broader population. They accepted Bolshevism because it was a “vague, unconscious, blind and desperate desire to return to Old Russia, prior to the ‘Romano-German yoke.” At the same time, the Eurasian idea rejects this movement as secular and anti-traditionalist. It was the westernization of the Russian elite, rather than any alien imposition on society, that served as the model for the revolution. In other words, the alien regime existed from the early 18th century onwards. Trubetskoy saw the USSR as a basically positive phenomenon because it unified the Eurasian plain and maintained a multinational state dedicated to a unified economic end. In addition, in doing battle with western imperialism, it served to weaken the west’s stranglehold over most of the planet. Finally, in protecting Russians against the west, the USSR, despite itself, preserved much of Old Russia. While often not mentioned in English, the Eurasian idea derives from the Old Belief. As this writer has also written, the Old Rite is representative of pre-Petrine Russia, and this state, given its limited resources, made war on the church no less systematically than the Bolsheviks. After Nikon, the close association of the church with the bureaucracy made the love of Orthodoxy dependent on the love of the state. While exaggerated, this is essentially true; the deposition of Nikon left Alexis in charge, only very soon after to permit Peter and the Germanic ruling class later to purge all national elements of the church. The followers of Alexis saw the Old Rite as ignorant fanatics and themselves, increasingly, as Enlightened westerners. The fact that the atheist and materialist Theophan Prokopovytch was placed in charge of reorganizing the Russian church under Peter shows just how far this process went. These three visions are about recreating Russia as a powerful civilization on the ruins on both the USSR and the democratic capitalism of Yeltsin. These three concepts are different ways of making it legitimate. All three of these are anti-western in that they reject the liberal cosmopolitanism that serves to justify western expansion. None of these three are specifically economic, but use culture and political to situate economic development. Economics for the Eurasianist is but an aspect of the broader political idea (Tolz, 1998). The essence of empire is corruption. Corruption, as destruction, is the antithesis of construction; it is a usurper. Empire is the perennial contagion in world history; it destroys life, but it does so through a highly complex and subtle system of control based on man’s base desires, individuality and freedom. As intellectual work is today crucial, the nature of production has changed. If the mind is the main means of production, then the machine and the brain slowly merge. On the other hand, new technologies such as the computerization of technique, have become an indispensable aspect of the human body, and soon, these two will also merge. . . Empires are not imposed from without, but they slowly create mental dependencies that tie man into their networks. These gradually serve as our sources of information that integrate ourselves economically, legally and psychologically. This implies a total loss of identity. The connection between the physical world and the its mental analogue is common enough in western criticism, most famously in the early 20th century work of Bernard Bosanquet. Contrary to a naive realism, structures of social life and the means of their justification soon become organizing principles in the mind. This is the problem with recent work on Dugin and Eurasianism, these structures cannot manage the nature of the Eurasian critique of the western world. Building a new Russian nation with its own specific interests in the world requires a strong civil society. This concept, which has become cliche over time, primarily deals with the institutions necessary for the functioning of a state, any state. Even a state that uses the most strict criterion of ethnicity must maintain a civil society that undergirds that idea. All states and governments must, in some way, provide the population with institutions that give regularity and law to social forces regardless of their origin. The great issue in building the new Russia is membership. In Ukraine, for example, the proverbial distinction between east and west Ukraine has almost torn the country apart. Western Ukraine is seen as pro-western,. 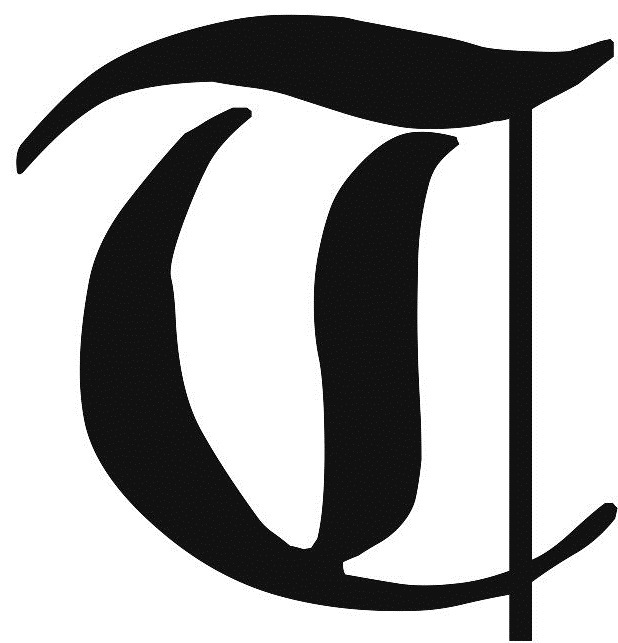 Eastern Ukraine seen as pro-Russian. In Russia’s case, the Eurasianists do not normally use an ethnic criterion of membership, but would rebuild Russia as a federation of ethnic groups that can serve to check and balance each other (Sengupta, 2009). Representation, at its root, is the “matching” of a constitution to domestic ideas of justice. A constitution is more than a scrap of paper. It is a living mode of thought that is meant to bind a community together in a world of shared ideas. Laws cannot come from mere self-interest or utility, but must be representative of the popular will. Popular wills are not necessarily manifest in elections, but show the broader contours of social life over time. The General Will is the public good, and its differs, as in the work of Rousseau, from the mere counting of votes and might even be opposed to it. Even more, a strong, new Russia requires an educational system that creates a firm foundation to the constitutional order. Education in the Eurasianist case should be tilted towards that which is useful for the society as a whole, rather than the liberal arts as a broad category of “classics.” The idea is that education brings students into the constitutional order and both, taken together, form a strong sense of national identity; a linguistic and cultural bond that brings people together in shared responsibility rather than abstract rights. This concept of constitution is central to foreign policy because when “Russia” acts on the world stage, there must be some important and significant entity that is called “Russia.” The Eurasianist looks askance at the United States acting on the world stage for democracy and human rights. These are abstractions. For the Russian Eurasianist in 2012, the U.S. acts for the interest of the corporate bodies who control her (Sengupta, 2009). For development according to Russian tradition, socialism, ethnic roots and a adhesion to the constants in Russian history. These include the mir, sobornost’, a rejection of utility, universalism and the imperial idea. To build a society without classes, toward brotherhood, equality, solidarity and justice. It is a combination of the social ideals of the populists, communists, socialists, and the national anarchist revolutionary tradition (Dugin, 2004). Regionalism is significant for Russia given her immense geographic distinctions. Eurasianism usually supports a strong sense of regional identity to balance centralized institutions. Regionalism for Russia has been an important problem since the Yeltsin administration because these were considered the more corrupt parts of the Russian polity. Regional governments were (and are) seen as the weak spots on the Russian body politic because of the older, clan-based models of both patronage and rent-seeking. In the work of professors Phyllis Dininio and Robert Ortung, regional corruption has been the Achilles heel of Russia as a polity. In their 2005 article on the subject, there are two overpowering variables dealing with the regional idea: first, the size of the government and, second, the level of economic development. If Eurasianism is to enshrine regionalism as an essential part of its doctrine, then the problems of regional corruption need to be faced. While Putin has long promises to deal strongly with corruption, regional elites have been dug in through control over patronage and raw materials. In fact, the Dininio and Ortung thesis is that rent seeking increases in areas of great raw material production. Corruption provides a great incentive to develop central institutions. The typical Eurasianist view is that internal moral virtues are just as important as external institutions. The “spiritual bonds” that the Eurasianist movement harps on continually is about the ability of local institutions to form virtuous citizens. A virtuous public would do well under even the worst form of government. In Russia’s case, internal virtue is needed to rebuild institutions since the decay of the state in the early 1990s. Corrupt regions in Russia can be traced to large bureaucracies, tightly centralized, that can serve as rent protection for raw materials. The basic corrupt practice is that the bureaucrats use their access to the halls of power to charge a premium for those wishing to exploit or profit from it. This, in turn, strengthens the forces of disintegration and weakens the forces of the national will. While regionalism is important to the Eurasianist movement, it can never be the “cover” for an elite seeking to profit at the expense of the broader economy (Dininio and Ortung, 2005). Another reason why the regional idea is important is because it connects Russia to its “near abroad.” In a real sense, these can be called “regions” since—at least—they contain a certain proportion of Russian speakers. Ukraine is a powerful case in point. Ukraine was the center of the older Imperial state because her fertility fed the rest of Russia. To destabilize Ukraine and force it away from Russia is to wound Moscow tremendously. Ukraine is a region in the eyes of the Eurasianist, a region with legitimate cultural aspirations. Yet, there is no reason why she should remove herself from the Russian embrace and become the main agricultural supplier to the EU as a regional dependency (Shulman, 2005 and Bukkvoll, 1997). Ukrainian foreign policy as compared with the Russia shows many areas of overlap that display the significance of Eurasianism even for Kiev. Ukraine sees Russia the way the Eurasianists do – as a powerful empire and civilization more than a nation state. On the other hand, Kiev sees itself as a “central European” state using and manifesting certain parts of Russian Slavdom for its own purposes. Ukrainian foreign policy centers around making sense out of the competing demands of Moscow and the western powers, whether in Washington or Brussels. The seemingly unending recession and depression since 2007 is making the western option that much less appealing. The Eurasianist—naturally—sees southern and eastern Asia to be the future. If Ukraine is to “turn to the west,” she might be turning to a moribund body too indebted to help her development. Eurasianists can easily point to the apparently terminal stage of western capitalism and seek compensation in Asia (MacFarlane, 2006). Ukraine and Russia both need to deal with regions. In Ukraine, the far Eastern coal and steel areas remain staunch Russian supporters and, to a great extent, neo-communists. These do not want a recreation of the Russian empire, but seek an independent Ukraine in fraternal union with Belarus and Russia, creating a Slavic colossus and trading empire the west must respect on the world stage. Ukraine and Belarus, in the Eurasian idea, are integral parts of a broader Russian federation. Such a federation is based on spiritual bonds and cultural history rather than economic self interest. Abstractions like rights and fraternity make no sense unless the spiritual bonds of the whole can be found in them. The concept of “home and hearth” is far more than a mere slogan of the bankrupt, but is crucial for any functional policy. Political debate implies a great level of commitment and consensus. Foundational issues must be settled before there can be any common ground to debate. The Eurasian idea is central to Russian politics. While still only partially digested by western writers, Russians have been concerned with rebuilding. From the dust and ashes of an old empire a new identity is being forged, and, judging by the popularity of Vladimir Putin, the basic elements of Eurasianism seem to be significant (Kullberg and Zimmerman, 1999). The slavish imitation of the west is not an option, nor is going back to some kind of central control. The non-aligned movement, regionalism and the battles against corruption are but three pillars in a basic domestic and foreign policy that is to institutionalized many Eurasianist concepts. Russia will not copy the west. The Yeltsin administration saw a huge proportion of the Russian economy shipped to foreign bank accounts and be taken over by those who had no hand in creating it. Democracy can be a dirty word in Russia since it is the system partially imposed by Boris Yeltsin. It just meant that the well connected were able to take advantage of the vacuum in both political and economic power. Eurasianism is a popular and coherent option. Russia increasingly sees the west to be bankrupt, both literally and figuratively. The rebuilding process itself—similar to the 1960s decolonization movement in Africa—requires both a strong state and a significant sense of membership. The state will continue to be an important part of the national economy. This is especially the case in areas such as oil and natural gas. The state will continue to own enterprises and can compete with cooperative and private ownership. Simple economic self-interest can never be the foundation of a national economy. The common good (represented y the state, albeit imperfectly) is equally as important as efficiency. The west is in trouble, and is likely to continue in trouble. Her debt is massive, and her dependence on foreign oil equally so. Increasingly large trade deficits with China are the price she has paid for her retail prosperity. To think that the “western option” is an obvious or automatic one for Russia is absurd. The Eurasianists have a point when they stress the significance of the east in terms of economic potential. The shocking ignorance of American intellectuals trying to grapple with Eurasian concepts they do not understand underscores Dugin’s main concerns. The US does not have the conceptual apparatus to properly understand the sweeping ontology of Eurasianiam. Western and westernized writers, such as Gene Veith, A. Motyl, Doug Sanders, Anton Barbashin, Hannah Thoburn, Anton Shekhovtsov and Marc Lippman display a disgraceful ignorance born of two things: first, their utter lack of intellectual preparation for the ontology and metaphysics of Dugin or anyone else outside of the western mainstream, and just as importantly, the fact that few of their readers know any better. This latter problem is everywhere, and gives the above a license to write as they please. This both frees them from actual understanding and insulates them from serious criticism. Since Eurasianism does not proceed from familiar journalistic cliches and pseudo-academic pretension, they do not have a framework to understand – let alone criticize – any of the views laid out. It shows the total collapse of serious thought in the pursuit of recognition as an “intellectual.” These are the residue of mass society and the collapse of intellectual honesty. About Dr. Johnson: Matthew Raphael Johnson is a scholar of Russian Orthodox history and philosophy. His research interests focus on Russian political theory and religious ideas, concentrating on the central role of nationalism, Eurasianism and the Orthodox tradition as forms of rebellion against globalism and liberalism. He completed his doctorate at the University of Nebraska in 1999 as a recipient of the Sennen Fellowship, focusing on anti-modernist social philosophy. 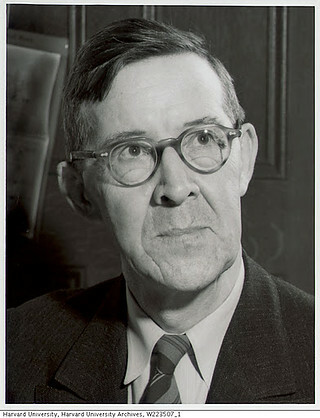 His dissertation surveyed Michael Oakeshott’s critique of positivism. Having taught at the University of Nebraska and Mount St. Mary’s University in Maryland, he continues to translate, write and lecture, regularly drawing disapproval from left and right alike. An agrarian, royalist and Slavophile, his writing relegates him to the periphery of American life, a place he finds quite congenial. Dr. Johnson is the author of several books, including Sobornosti: Essays on the Old Faith; Heavenly Serbia and the Medieval Idea; Orthodoxy, Autocracy, Nationality: Lectures on Medieval Russia; The Ancient Orthodox Tradition in Russian Literature; The Third Rome: Holy Russia, Tsarism and Orthodoxy; and Russian Populist: The Political Theory of Vladimir Putin. This entry was posted in Theory and tagged 4PT, Byzantine Empire, Center for Syncretic Studies, cultural anthropology, Dr. Matthew Raphael Johnson, Dugin, Eurasia, Eurasianism, fourth position, geopolitics, geostrategy, imperialism, Liberalism, Marxism, Russia, Social movement, sociology, Soviet Union, USSR, USSR 2.0. Bookmark the permalink. This is such a good article! It really helped me to clearly understand things that I vaguely felt but could not bring into focus. Thank you! I had the same kind of experience as you when I read Plato forty years ago. It is an epiphany when one/s mind opens up, like Kant’s did upon reading David Hume. The so-called “West” – including Australia, where I live – is ‘soulless’ and utterly materialistic, thus ruled by conscienceless sociopaths. Now rant over, except for quoting David Hume, “We could have no idea of a substance, if not for our passions and emotions.” Which Rene Descartes realized comprised the ‘soul’. This is very good indeed, but will certainly go over the heads of those who are unable to understand Plato and/or those who have no idea about Existentialism, for instance, and/or those for whom such as Descartes and Hume are a complete mystery, or even “nonsense” in the minds of Western so-called, “professors of philosophy” … oh yes I have first hand experience of these sophists, or latter day scholastics who know nothing of any depth. Rant over, but I have been passionate in this sort of context for nearly forty years. This was written before the Ukraine exploded, but fundamentally explains what has happened since Maidan Victoria Nuland and all the rest of the Washington Empire again going to war against a Russia never having had Western Imperial objectives, Excellent analysis. Pingback: The Eurasianist plague • Destroy Zionism!Destroy Zionism! To date the clearest account of the present conflict of values.